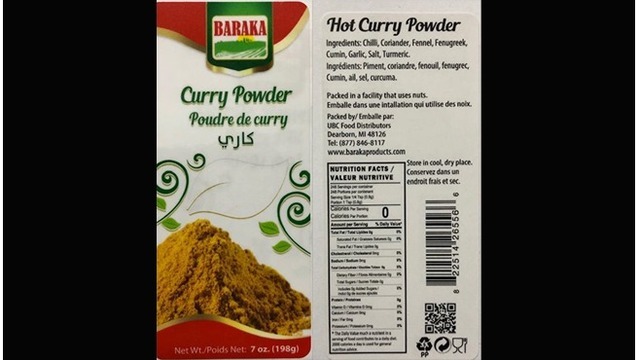 A label of one of the brands of curry powder recalled for possible lead contamination. 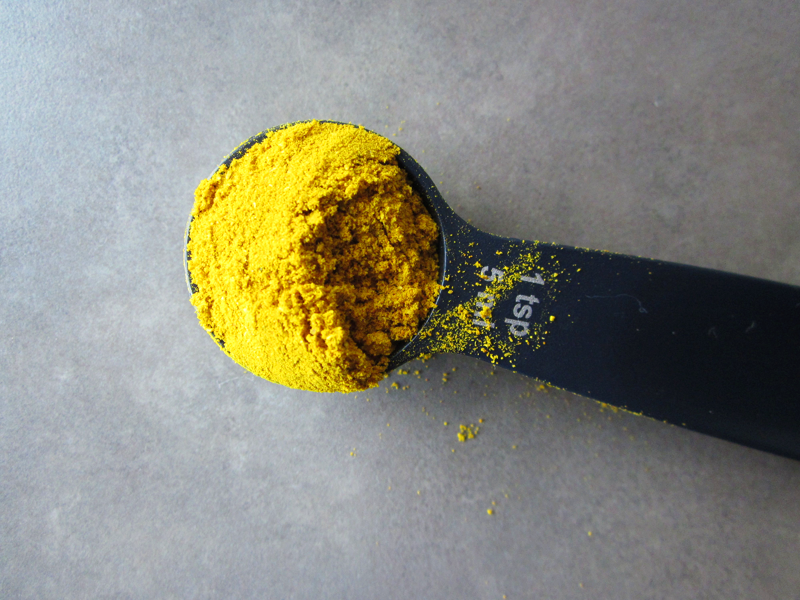 LANSING — State health officials are urging residents to check their spice cabinets for curry powder after several brands distributed in Michigan were found to contain high levels of lead and recalled. The curry powder was distributed under several brand names, including Baraka, Butera, Corrado’s, Mediterranean Specialty, Nouri’s and Orlando. The contamination was detected as a result of an investigation into a child with elevated blood lead levels possibly linked to cooking spices. State agricultural officials and the U.S. Food and Drug Administration linked the case to a Michigan supplier and the recall. Anyone who may have consumed the tainted spice is urged to get a blood test. Lead in the blood can cause damage to the brain and nervous system, slowed growth and development, learning and behavior problems and hearing and speech problems, especially in children. Call the FDA at 877-846-8117 for information about the recall or the Michigan Department of Health and Human Services Lead Poisoning Program at 517-335-8885 (Monday through Friday, 8 a.m. – 5 p.m.) for questions about blood lead levels.